Shanna Noel felt a huge sense of freedom as she handed her life over to Christ at age 16. Reflecting back on that time, she imagines birds singing His praises! Be inspired by Ephesians 4:7 and the grace that brings new life and allows us to fly free through Christ. 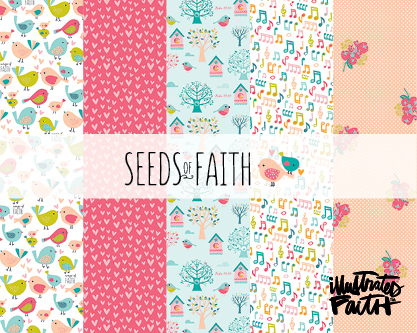 Allow Seeds of Faith to set you free!